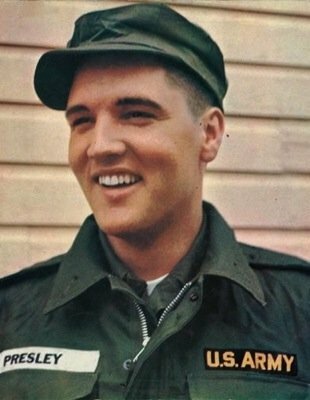 With the exception of one recording session, after Elvis Presley’s army induction on March 24, 1958, his show business activities halted completely for nearly two years. 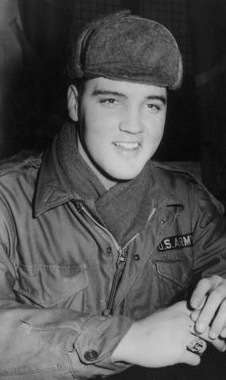 His handlers, though, worked tirelessly to keep Presley’s image alive in the marketplace. 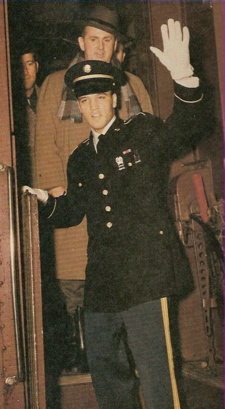 Although Elvis was out of sight, his fans still had one more opportunity to see him perform. King Creole, produced just before his induction, wasn’t released in theaters until three months later. When Elvis embarked for Germany in the fall of 1958, however, he physically disappeared from the entertainment landscape. His recording label did what it could to keep his voice alive at home. 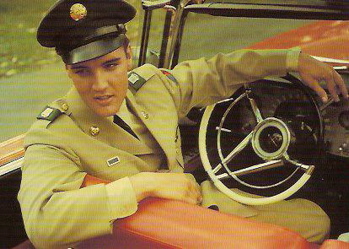 While Elvis was in uniform, RCA issued 5 Presley singles, 3 LPs, and 6 EPs. While they did well on both the record charts and in the record stores, they were not enough to meet Colonel Parker’s goal of keeping Elvis continually in the public eye during his absence. 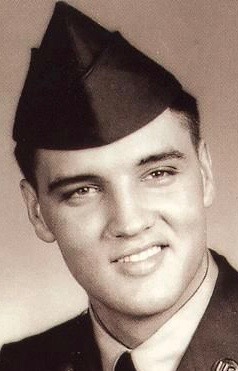 Part of Parker’s strategy was to promote Presley in the nation’s popular celebrity magazines. Encouraging writers to cover Elvis cost the Colonel nothing and led to regular articles about Elvis appearing in various entertainment publications that were trendy with Elvis's young demographic. Block then backtracked to March 24, 1958, which she labeled “Black Monday” for much of America’s female population. 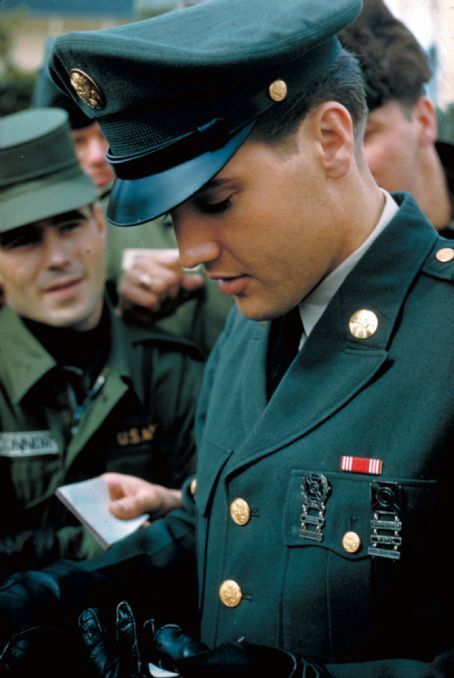 “That was the day Elvis Presley traded his blue suede shoes for U.S. Army combat boots,” she reminded her readers. “And there were those who said he’d be forgotten long before he could slip back into his well-worn blue suedes. They reasoned that the Coke set, notoriously fickle, would desert their hero for a new idol … You know the old adage—out of sight, out of mind." Maxine Block concluded her article in Movieland and TV Time with the following declaration of Elvis Presley’s enduring popularity. "Encouraging writers to cover Elvis cost the Colonel nothing and led to regular articles about Elvis appearing in various publications that were trendy with Elvis's young demographic."